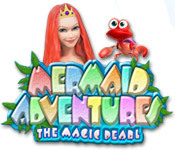 The Magic Pearl is stolen and it's up to Alice to find it in Mermaid Adventure: The Magic Pearl. Sprutto, the dasterdly octopus, snuck into the treasure room and ran off with the Magic Pearl. 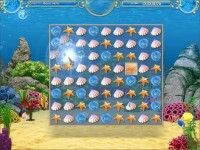 The Pearl controls the sea and its absence will create a torrent of storms that will sink all of the ships! 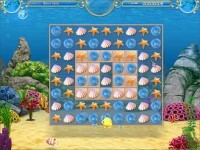 Join Alice and her friend, Crabby the crab, as they track down Sprutto and the Magic Pearl in this charming Match 3 game. 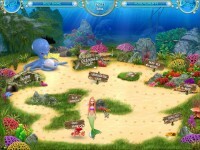 Tell someone about Mermaid Adventures: The Magic Pearl Game!